Airport Attendance Schedule 7 Days A Week 0800-DUSK; UNATNDD NEW YEAR'S, EASTER, INDEPENDENCE, THANKSGIVING, & CHRISTMAS DAYS. Airport Lighting Schedule ACTVT MIRL RY 06/24 - CTAF. RWY 15 CLD TO LDG AND TKOF. GCO AVBL ON FREQ 135.075; QUANTICO CD DURG OPR HRS - 6 CLICKS, POTOMAC CD ALL OTR TIMES - 5 CLICKS. IF UNA, FOR CD CTC POTOMAC APCH AT 866-709--4993. 24 HR SELF-SVC AVBL, FUEL TRUCK AVBL DURG OPR HRS. 15 FT ROAD, 188 FT FM THLD, BOTH SIDES CNTRLN. 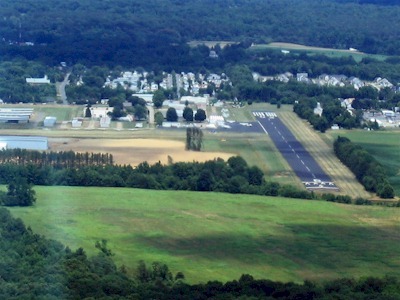 RWY 33 CLSD DLY SS-SR.
APCHS TO RWY 6/24 WILL BE MADE SUFLY HIGH TO CROSS RT. 2 (RWY 24) OR THE RAILROAD TRACKS (RWY 6) AT OR ABV 135 FT MSL (50 FT AGL). Clearance slope: RY 06 +21 FT RR, DIST 348 FT, 16:1 BASED ON DSPLCD THLD. 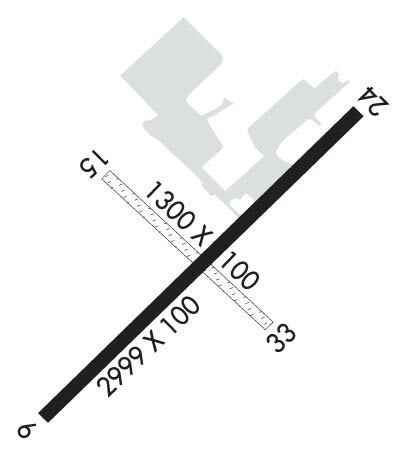 Clearance slope: 4:1; RY 24, 12 FT ROAD, 206 FT, 2 FT L, 0:1 BASED ON DISPLCD THR. Comments: +20 FT TRR 180-200 FT FM RY END 143 FT L TO 145 R. Comments: 12 FT ROAD 126 FT FM RY END 2 FT L.